Can psychological research help people live their lives? Can it offer members of the public personally meaningful insights to help them surmount the day-to-day challenges they face? Can it provide resources for individuals to draw upon as they strive to negotiate the complex realities of 21st-century life? Like many readers, perhaps, we would answer the first question with a resounding ‘Yes!’ We would also answer the other questions with a yes – although it might be more cautiously voiced. Replace the word ‘Can…’ in each of these questions with the word ‘Does…’ and our responses would be more uncertain. In fact, we would probably be forced to change our responses to: ‘In general, probably not.’ Given that the subject of psychology covers terrain that is – potentially at least – of such importance to all people as they navigate their lives, this is a disappointing state of affairs. Could it be different? Is it possible to do and share psychological research in ways that directly reach, affect, guide or help members of the public? Perhaps leading towards personal reflection, a sense of solidarity, local action, or more widespread social change? In this article we briefly outline one approach that strives towards these kinds of goals. It is a form of research we have engaged with since the early 2000s, which can be broadly described as critical arts-based research (see Bagley & Castro-Salazar, 2012). Arts-based research is ‘an effort to utilize the forms of thinking and forms of representation that the arts provide as a means through which the world can be better understood and through such understanding comes the enlargement of mind’ (Barone & Eisner, 2012, p.x). Arts-based research is critical when it becomes overtly political by challenging dominant discourses and conventional ideas within society, while aligning with subjugated peoples and voices (Bagley & Castro-Salazar, 2012). Our way of doing critical arts-based research has not been developed in isolation but has benefited from the work of a number of other researchers in psychology and beyond (e.g. Barone & Eisner, 2012; Chadwick, 2001; Gergen & Gergen, 2012). Our approach can affect and inform all phases of a project – from identifying a ‘problem’ or research question, gathering empirical materials (‘data’), analysing collected materials, through to representing and disseminating findings. While other approaches to psychological research might share one or two of these characteristics, the combination of most or all of the six is, we think, unique to arts-based work. Our description, however, can only go so far – we really need you to experience some of this work. Experiencing is key to grasping the contribution of artistic and performative methodologies. Without this, the words and arguments that follow risk ringing hollow. Therefore, we cite some examples of our work that are available in the public domain as short films that can be freely viewed online via YouTube (see box ‘Online videos’). We invite you to explore these examples for yourself (and some accompany the online version of this article). Please feel free, if you wish, to ‘talk back’ to us by posting a comment or response. For academically inclined readers, we also cite a few examples of parallel work that we have published in peer-reviewed journals. Throughout, we do not mean to imply that arts-based methods replace existing ways of doing psychological research. We do, however, believe that these kinds of approaches can beneficially extend and improve the ways psychological knowledge is both generated and disseminated. In contrast to the natural sciences research model, the focus and direction of our studies are strongly influenced by the participants. Through interviews and fieldwork we invite people to tell us about their lives in an extended conversation. Doing so, we witness their life stories. As students, conducting our first studies, we found that through this process participants often redefined the area of focus that we had identified in our research proposal. We felt compelled to respond to this redirection to be able to learn from relevant aspects of their experience. Our position became – and remains – that of a student, while we see the participants as experts of their own life experiences. Rather than us directing the focus, we ask them to take us and show us what is important in their lives (in the context of the research). Each participant points out what we need to know and where we need to look to find it. Now, as experienced researchers, we are more likely to hold off defining/identifying a focus and direction ourselves to allow instead the participants to do this. This process was particularly evident during a study we conducted into the place of physical activity in the lives of older women in Cornwall. Time and again, the women we interviewed repositioned the meaning and value of physical activity in their lives – reclaiming it from its currently fashionable instrumental, self-focused portrayal as a way of maximising one’s own health and wellbeing. Through sharing with us their life stories, we saw how physical activity was often closely woven into their early life experiences – as daughters, sisters, friends, wives, mothers and, later, grandmothers. For many of these women physical activity was not about the self at all – it was about the other. While they often turned away from activity for themselves, they would often engage in activity when it was with and for a significant person in their lives. A sense of historical relational connections is evident in our film Gwithian Sands and discussed in Douglas (2012). Central to our way of working is an embodied presence with participants during the research. As important as it undoubtedly is to listen – to truly hear what is being said – there is more to it than this. It is not just the words captured by our digital recorder that tell the tale. Instead, we try to become a ‘listening body’ and have faith that our body will sense, remember or understand certain kinds of insights that words may not capture. Obvious examples of this might include noticing and documenting expressions and behaviours. More complex examples – which are harder to explain – might include an implicit understanding of something intangible, a personal connection with an aspect of an individual’s history, or a sensitivity towards a feeling of alienation. In recent work with military personnel who have experienced physical and/or psychological trauma, we have explored the value of a residential sport and adventurous training course. During our fieldwork, we both took part in several weeks of courses, engaging as group members in the course activities. Understanding the soldiers’ experiences, we noticed, depended in large part on this shared experience. Co-experienced physical movement – for example during a wheelchair basketball session – seemed to ‘loosen’ otherwise silent stories, allowing personal and sometimes sensitive experiences to be shared (see Carless & Douglas, 2016). Readers might lso get a sense of this kind of immersive researcher-participant interaction from the film Across the Tamar: Three Poems. In times when empirical observations of grounded reality are held as central to research, suggesting that psychological studies can include – even depend upon – imagination feels risky. To those psychologists wedded to a natural sciences model, it may be simply unacceptable and, perhaps, somewhat frightening. While we too value empirical observation of grounded realities, it is perhaps the inclusion and facilitation of imagination during what is traditionally described as ‘data analysis’ that most clearly distinguishes arts-based approaches. As students, we risked playing and imagining when we had been taught to work in more strictly controlled, methodical, structured, planned and focused ways. We didn’t know if it would work, but (at times) it felt instinctively right to do so. Over time, others’ responses to the insights we’ve generated through including our imaginations in a more open and unencumbered way has given us confidence to continue, realising that doing so opens a door to insights and understandings that may otherwise remain inaccessible. The song and film Blue Funnel Line recounts the journey of a merchant seaman from Merseyside, through alcoholism and homelessness, to a supported housing scheme in Bristol. Although some lines in the song come directly from the interview transcripts, other sections stem from David’s aesthetic imagination as he searched for ways to musically make sense of and express chaotic experiences and powerful emotions. Although the song traces this individual’s particular experiences, any separation between participant and researcher is blurred as David reflects and draws upon emotions that arose as he became a container for the other’s story. Similar processes operated in writing the fictionalised story ‘That Night’ in response to stories of sexual abuse in professional sport (see Douglas & Carless, 2009). For many years, we both sometimes felt disempowered and excluded by the ways in which psychological research is typically written and disseminated. Understanding much of the research shared in journal articles, books and conference papers often necessitates a PhD-level education. For many people outside academia it is completely inaccessible. If this knowledge is to help ordinary people, an intermediary – perhaps a professional psychologist? – is required to interpret and enact its insights. We envision an alternative: that the valuable insights of psychological research can also be circulated in such a way that they can be directly accessed by the public. This is a democratic ideal for research – one that does not depend upon an academic or professional ‘elite’ to act as mediators or gatekeepers. We have worked towards this aim through some of our research, when we have felt it appropriate to do so. One example is our ongoing research into the value of sport and physical activity for people diagnosed with severe and enduring mental health problems. At times, we have published traditional academic analyses of participants’ experiences (e.g. Carless, 2008) that are theoretically and analytically ‘dense’ – this work is targeted at scholars of psychology and is unlikely to be accessible to the layperson. Seeking to offer more accessible, engaging and emotionally stimulating portrayals, we have also published accounts of participants’ experiences in short-story form (e.g. Carless & Douglas, 2010b). More recently, we have asked ourselves why we are limiting ourselves – and our participants – to academic arenas. The main reason, we decided, is simply academic convention! We now feel comfortable moving beyond academic channels of dissemination to share research through live performances, CDs and films. 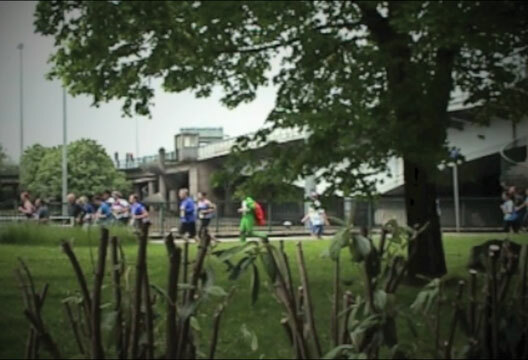 The Long Run – a film based on one participant’s experiences of physical activity and mental health – is one example. By posting this film on YouTube, it is freely available to billions of potential international viewers. The form of the film – combining first person narrative, music, and diverse imagery – adds not only to its potential to engage, but also to what can be expressed about physical activity and mental illness. Some kinds of psychological knowledge and understanding, it seems to us, can only be glimpsed tangentially, through a kind of physical-emotional sensibility. They may not be amenable to being labelled, categorised or expressed through a numeric formula, a theory or logical statement of fact. Deep insights concerning, for example, another person’s embodied experience can perhaps only be evoked, implied or rendered aesthetically – perhaps through a more indirect or oblique use of language (such as metaphor and poetic, lyrical or evocative forms). We have found that artistic forms sometimes allow us to express complex, paradoxical or ambiguous forms of knowledge, understanding or wisdom. Sometimes, we may not have fully grasped these understandings ourselves, yet we want to include these tentative insights in our research, rather than omit them simply because they resist clear expression. Indeed, a good portion of the potential subject matter of psychology is sufficiently complex that it may never be fully grasped. Yet we believe it is sufficiently important that it should be included – even in an ‘un-mastered’ or imperfect form. By doing so, there is the chance that others may draw meaning and value from insights we are yet to fully appreciate ourselves. A sense of these processes in operation is evident in the song and film These Things, which explores the experiences of residents and staff living and working together in an urban supported housing scheme. The participants in this research faced many significant difficulties in their daily lives which we, during our fieldwork, sometimes experienced vicariously. Emotions frequently ran high, anger and frustration sometimes raged. While we came away from the study with a sense that a highly complex social dynamic was at least ‘working’, it seemed fragile, volatile and under threat from economic and political changes. Through the song, we tried to express the melting pot of emotions that we, too, felt so acutely. Sections of the song are no more than a guttural scream that communicates an intensity of feeling that we could never communicate in words alone. Yet without facing and acknowledging these emotions, any understanding of the behaviours and needs of residents and staff is impoverished. Arts-based approaches tend not to provide a finalised interpretation or conclusion, but instead offer the audience an experience from which they may form their own interpretations and conclusions. The composition, if it is successful, enables the audience to ‘vicariously re-experience the world’ (Barone & Eisner, 2012, p.20), thereby opening up new ways of seeing psychosocial phenomena. This places an onus on the audience to be active – to not sit back as passive recipients of knowledge, but to engage with and reflect on the material in the contex of their own lives. In this sense, although we as researchers may resist the impulse to generalise in our compositions, it is often the case that audience members will engage in some form of generalisation. The result can be local knowledge that spurs action at individual and, potentially, community levels. We have documented these processes in action in the wake of live performances (based on our research with older women in Cornwall) given to occupational therapy, physiotherapy, and sport and health science students (see Carless & Douglas, 2010a). The songs, stories and poems that comprise this 30-minute piece provoked many students to reflect and act to improve their relationships with older people within both their family units and their professional practice. For some, this personal change occurred through gaining a different kind of understanding than is communicated through traditional research presentations. A hallmark of this understanding was that it derived from personal experience and retained sufficient emotionality and humanity to engender empathy, identification and advocacy. So often, we find, the truest answer to a real-world psychological question is ‘It depends.’ Q: Does physical activity help mental health? A: It depends. Trying to offer a universal answer to these kinds of questions strikes us as misguided. If, however, the next question is ‘What does it depend on?’ then we’re getting somewhere. This moment is an opening – it is the beginning of dialogue and insight. Critical arts-based research is ideally suited to triggering, generating and informing these kinds of moments. Through our critical arts-based research we aspire to deepen and expand public understanding through dialogues of this kind. When we submitted this article, one reviewer responded: ‘At the end, the authors actually make a rather conventional point.’ As surprising as it may seem, we were both quite pleased with this response. After more than a decade as postdoctoral researchers conducting arts-based and performative research in the human sciences, we are aware that some colleagues regard our ways of working as radical, others perhaps even find it preposterous. For these individuals, this simply is not the way human science research is done. Even one of our close collaborators and friends recently described us as ‘mavericks’. But we have no desire to be seen as radicals or mavericks simply to be different – this threatens the acceptance and credibility of our work and, by implication, the interests of participants in our research. We want others to take our work seriously and to be unable to dismiss it as ‘out there’. In this sense, we are happy to be seen as conventional. It even comes as something of a relief. We aspire to live and work within a research community where the six boundary markers of arts-based research we describe above are accepted, respected and understood as vital components of psychological research. We want to walk into a lecture theatre and be able to perform our songs without fearing a rude or dismissive response from a student who has been ‘educated’ to respect only scientific presentations of psychological ‘fact’. We hope that soon technical support and professional standards of sound and lighting will be routinely available at academic conferences to support live performances of research. We work towards a time when arts-based research will be welcomed and dignified with informed review by mainstream, high impact psychology journals. We look forward to the day when arts-based psychological research is rewarded with grants and financial support comparable to that received by experimental methodologies. We will embrace the moment when professional psychologists begin to routinely draw on the insights of arts-based research to improve their practice. We encourage those in positions of power to find some give in their seemingly unbending faith in statistics, to open their hearts, minds and wallets in response to the rigorous, ethical and revealing portrayals of human experience that arts-based methodologies can provide. At this point in time, these aims and desires still feel to us to be radical… in the extreme. We look forward to the time when they are regarded as conventional. Bagley, C. & Castro-Salazar, R. (2012). Critical arts-based research in education: Performing undocumented historias. British Educational Research Journal, 38(2), 219–239. Barone, T. & Eisner, E. (2012). Arts based research. Thousand Oaks, CA: Sage. Carless, D. (2008). Narrative, identity, and recovery from serious mental illness: A life history of a runner. Qualitative Research in Psychology, 5(4), 233–248. Carless, D. & Douglas, K. (2010a). Performance ethnography as an approach to health-related education. Educational Action Research, 18(3), 373–388. Carless, D. & Douglas, K. (2010b). Sport and physical activity for mental health. Oxford: Wiley-Blackwell. Carless, D. & Douglas, K. (2016). Narrating embodied experience: Sharing stories of trauma and recovery. Sport, Education & Society, 21(1), 47–61. Chadwick, P. (2001). Personality as art: Artistic approaches in psychology. Ross-on-Wye: PCCS Books. Douglas, K. (2012). Signals and signs. Qualitative Inquiry, 18(6), 525–532. Douglas, K. & Carless, D. (2009). Exploring taboo issues in professional sport through a fictional approach. Reflective Practice, 10(3), 311–323. Gergen, M. & Gergen, K. (2012). Playing with purpose: Adventures in performative social science. Walnut Creek, CA: Left Coast Press.